It’s that time of year again, when our thoughts turn to ‘All things merry and bright’. For the last few years, instead of sending out corporate Christmas cards, we have been supporting local ‘good causes’ across the UK and Ireland as part of our ‘Five Gold Rings’ Christmas campaign. 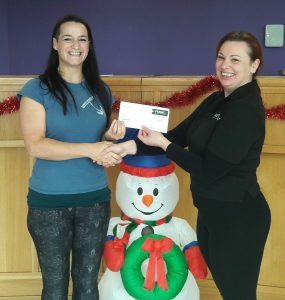 Each year our teams nominate causes close to their hearts and five are chosen to receive a donation. In previous years, our donations have varied between sponsoring former working donkeys to supplying Christmas presents for disadvantaged children, from providing IT equipment for those with special educational needs to contributing store cupboard supplies to those working to end homelessness. Watch this space to find out who we are supporting this year. This charity promotes positive mental health through life-enhancing activities, supporting those in mental health recovery with subsidised access to a variety of events designed to improve well-being and mental health. The connection between activity and well-being is an established one and the opportunities Havin’ A Laugh offer to those in need of support are varied and include yoga classes, surfing lessons, massage or gym membership. 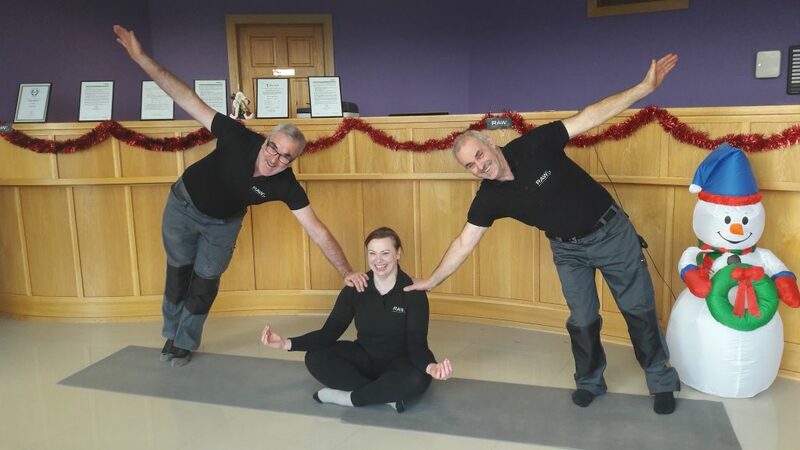 Some of our Sligo team volunteered to work on their own well-being this lunchtime, with a spot of yoga ably instructed by Blaithin of Havin’ a Laugh. We think you’ll agree the results are impressive…. 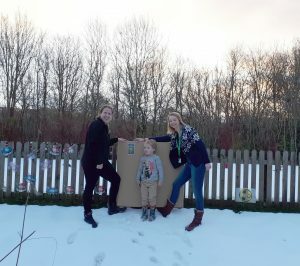 The elves delivered part of RAW’s second gold ring to a local school this morning, the remainder of the donation has been a little delayed by the snow (where are all the reindeer when you need them?!). Colwall school was badly affected by groundwater ingress in 2014, the buildings were condemned, and the children have been in temporary buildings ever since. A new school has been built, and the children move in in January, but new school buildings leave little funding left over for the equipment and educational extras that the children deserve. RAW has contributed outdoor learning equipment and a shared CD listening centre to help with literacy in the early years department. 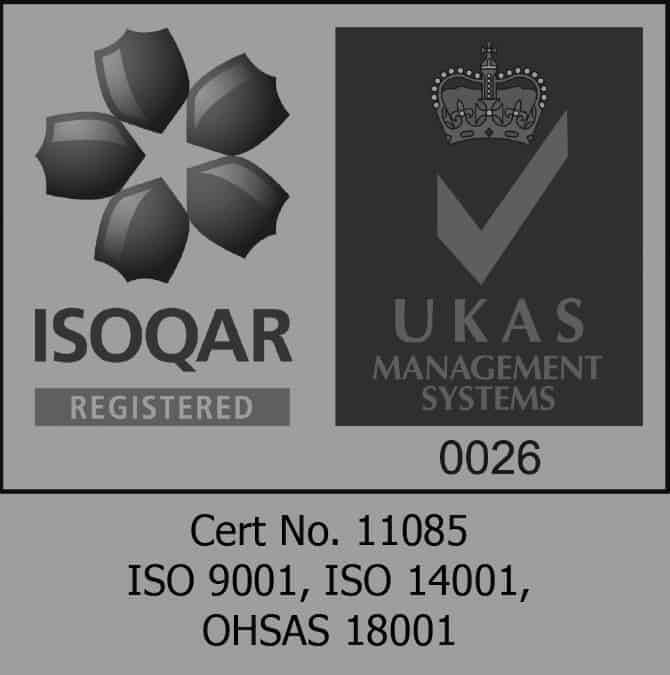 We hope to provide an update on the equipment being put to good use in 2018, once the elves catch up…. Santa’s little helpers have been busy in our Inverness office gathering an array of toys to donate to MFR Mission Christmas! 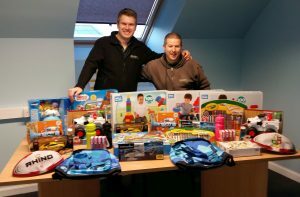 With families of their own, the team feel strongly that Christmas should be a special time for every child, and their personally chosen gifts will go directly to underprivileged children across the Highland, Moray and Aberdeenshire areas of Scotland. 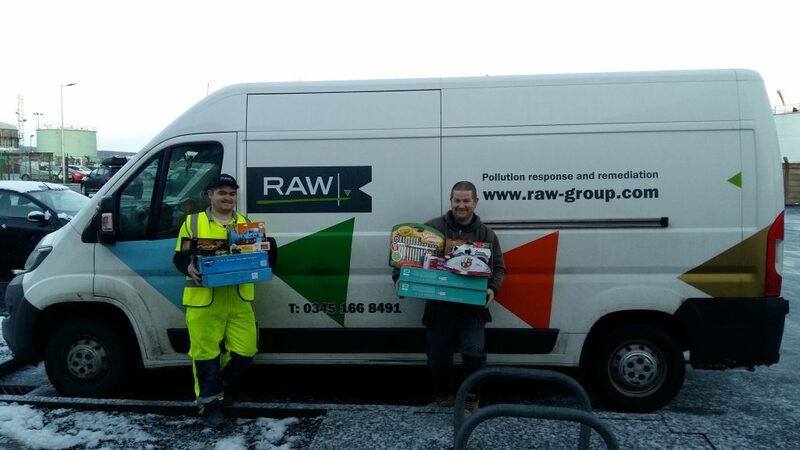 This is third consecutive year that RAW has supported this programme, helping to make Christmas special for disadvantaged children in the Inverness area. 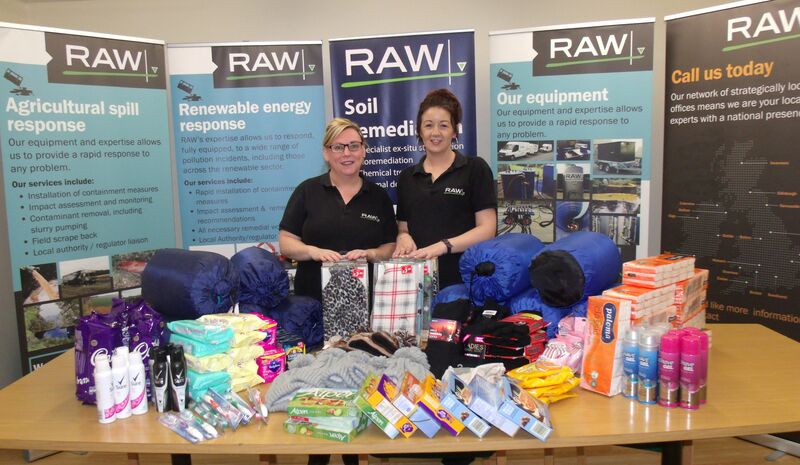 Our Belfast team very kindly added extra funds to the fourth gold ring donation themselves, and purchased practical items to support vulnerable people who are homeless in Belfast. 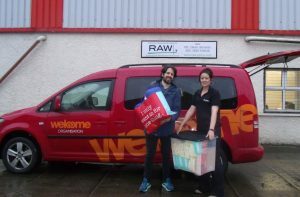 We hope that our donation to the Welcome Organisation of sleeping bags, toiletries, clothing and snacks goes a little way towards helping those most in need. The Welcome Organisation pride themselves on providing community based, hands-on help, including health clinics, housing advice, life skills coaching and other valuable services assisting vulnerable people on their journey out of homelessness. RAW’s elves struck again today, delivering our fifth and final gold ring to the special care neonatal unit at Warrington hospital today. 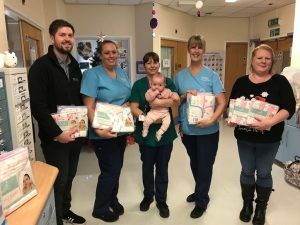 A cause close to our northern teams’ hearts, the unit received gifts of blankets, towels, muslins, clothes and other practical items for the babies who spend time in specialist care following their arrival. Welcome to the world little ones! 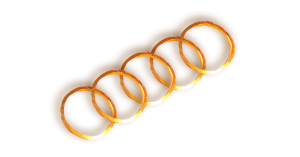 We hope you’ve enjoyed finding out where RAW’s Five Gold Rings have gone this year, a worthy set of causes we hope you’ll agree! We’d like to take this chance to wish everyone a Merry Christmas and a very Happy New Year from all of us here at RAW!